From the Enluce premium outdoor range by Endon Lighting. 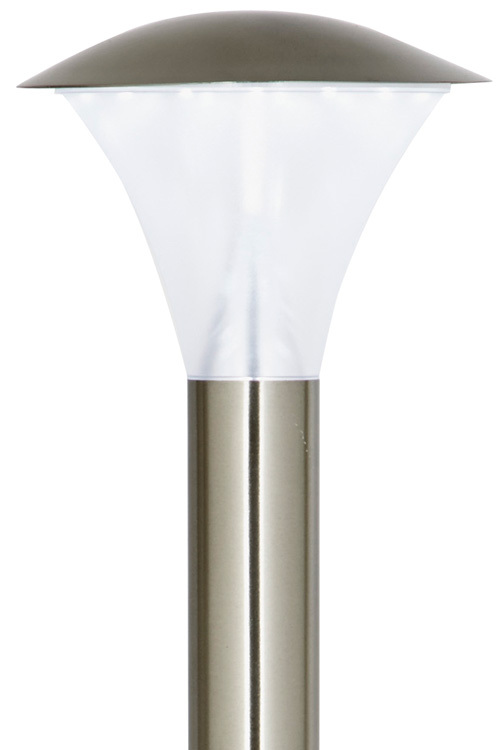 A modern energy efficient IP44 rated outdoor short post light constructed from stainless steel and polycarbonate. Simple 450 mm tall tubular stem holding an upward facing domed impact resistant polycarbonate shade. The 30 cool white LED lamps are fitted to the roof of the fitting and shine downwards onto a reflector that will spread the light outwards and downwards. With a total consumption of just 6w, this low energy LED bollard light will save money from the moment it is fitted and look good too. Fitted with non dimmable and non replaceable LED’s.